We are a highly professional North East wedding car company, with over 25 years of experience. With Elite Wedding Cars, you can book with complete confidence – we believe in going that extra mile. Based in County Durham, we can transport you and your wedding party to your ceremony and reception in style. Centrally located, we can accommodate weddings in Durham, Newcastle, Gateshead, Stanley, Consett, Darlington, Sunderland, Stockton on Tees, Middlesborough, Hartlepool – basically everywhere in the North East and North Yorkshire. 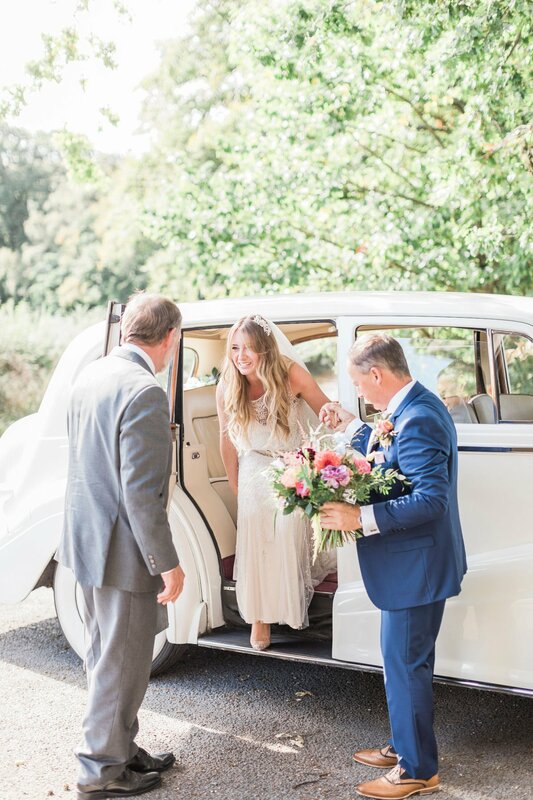 We provide classic and vintage wedding cars with uniformed chauffeurs for your special day – with attention to detail being our highest priority – so you can relax and enjoy the best day of your life ! Due to popularity dates are limited throughout 2019. If you still haven’t booked your wedding cars yet – take a look at each of our wedding cars and complete the enquiry form and we will try to accommodate. Simply find the car you would like to book – give us a quick call or complete our enquiry form to check availability on your dates – and arrange a viewing as quick as possible. Bookings are filling fast – so secure yours with just £100 deposit per car, to avoid disappointment. Remember – we only book our cars for one wedding per day – and that’s yours!